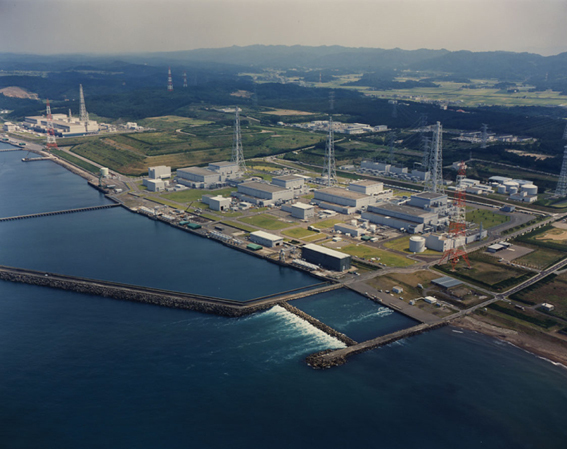 Kashiwazaki-Kariwa is located in Japan and is and is owned by Tokyo Electric Power Company. It has a total area of is 4.2 kilometres square . It also includes land in the towns of Kashiwazaki and Kariwa in the Niigata Prefecture, Japan on the coast of the Sea of Japan, from where it gets cooling water. Kashiwazaki-KariwaIn was hit by an earthquake in 2007. This caused some damage and allowed a leak of a radioactive substance into the air and the water. The plant was subsequently closed and safety checks were completed. The plant was re-opened in May 2009.